A French study of nearly 70,000 people yielded startling results for two forms of cancer. Organic Fruits and Vegetables (Photo from www.BBOrganics.com). A French study of nearly 70,000 people states that organic foods reduce the risk that you’ll develop non-Hodgkin’s lymphoma and postmenopausal breast cancer. Agricultural pesticides have been shown to have a toxic effect on the human endocrine system. The high cost of organic food remains a barrier to entry for those wishing to eat a healthier diet. In the report, tomatoes grown organically contained 1938 mg of iron for every 100 grams dry weight, compared to 1 mg for the same weight found in non-organic farm tomatoes. In that same tomato, there were 148.3 mg of potassium in the organic product and 58.6 mg in the farm product. Organic spinach yielded 1584 mg of iron compared to 19 mg in non-organic spinach, and 71 mg calcium against 16 mg. In the 20 years since that article was published, organic food has skyrocketed. 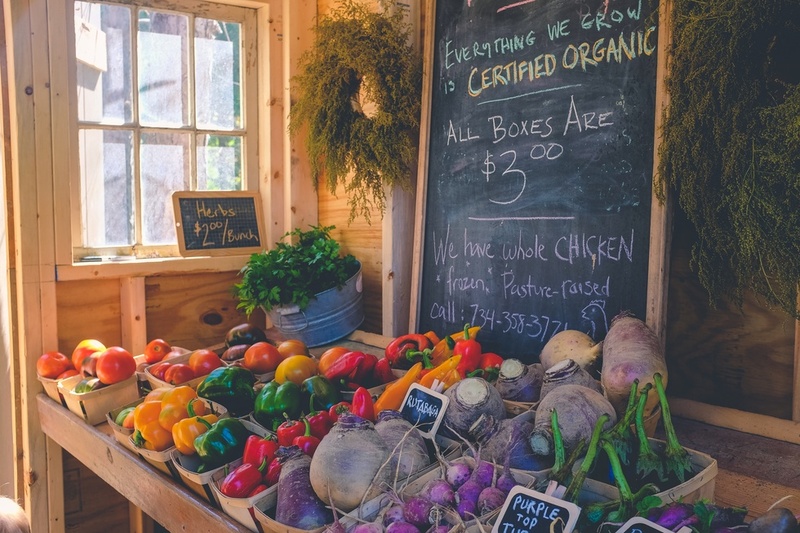 The Organic Trade Association now pegs the value of organic products at $45.2 billion. The problems with industrial agriculture are now well-documented. Strangely, however, few large-scale studies on organic food’s relationship to human health have been conducted (at least in terms of cancer), making a new report by JAMA [Journal of the American Medical Association] even more eye-opening. Those who ate the most organic fruits, vegetables, dairy products, meat and other foods had a particularly steep drop in the incidence of lymphomas, and a significant reduction in postmenopausal breast cancers. And it shouldn’t be surprising. The combination of pesticides and mono-cropping has depleted the nutrient value of fruits and vegetables, affecting both soil and plant. We’re told that a plant-based diet is the healthiest, yet if those plants are stripped of nutrient value and contain residue from toxic chemicals there is certainly going to be negative effects. One of those happens to be cancer. The authors cite a 2018 European Food Safety Authority report, which states that 44 percent of conventionally grown foods contained one or more pesticide residues, while only 6.5 percent of organic foods measured any such residue. That number should be zero; there has been criticism about what constitutes “organic.” While many toxicologists claim residue levels in foods are not dangerous, the cumulative effects of not-dangerous can equal dangerous over time.